Bumps, patches, and spots in your mouth can be harmless. But sometimes, they can give clues to what’s going on with your overall health. 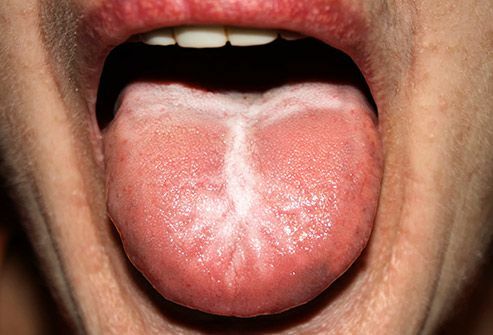 Infections, stress, medication issues, and even aging can make their marks on your tongue. Find out what your tongue is telling you and when you should see your doctor or dentist. Creamy white spots could be thrush, a fungal infection (shown here). 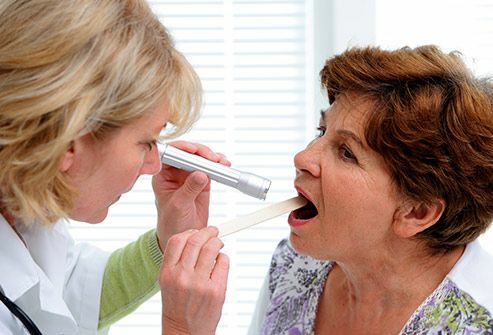 It often happens after an illness or medications throw off the balance of bacteria in your mouth. White patches that look lacy could be lichen planus, which means your immune system is attacking the tissues in your mouth. If you see hard, flat, white areas that can’t be scraped away, it could be leukoplakia, which is linked to cancer. Let your dentist know about any white patches you see. If your tongue has a coating that looks like black, brown, or white fur, you might have hairy tongue. Those “hairs” are proteins that turn normal, small bumps into longer strands, where food and bacteria get caught. It should go away when you brush or scrape your tongue. If you have hairy, white patches that you can’t scrape off, it might be oral hairy leukoplakia. It can happen to people infected with viruses like Epstein-Barr or HIV. Hairy tongue can be black in color. But your tongue can also go dark after you take an antacid with an ingredient called bismuth. 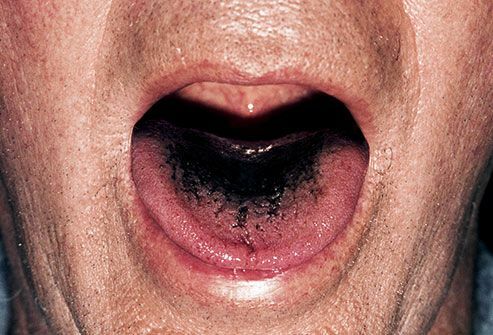 For some people, it stains the tongue black when it mixes with saliva. It’s harmless and goes away once you stop taking the medicine. A strawberry-red tongue could be an early sign of Kawasaki disease, a rare, serious illness that inflames blood vessels all over the body, most often in children. It’s also a symptom of scarlet fever. If your red tongue is also smooth and you have pain in your mouth, it might be a sign that your body doesn’t have enough vitamin B3. 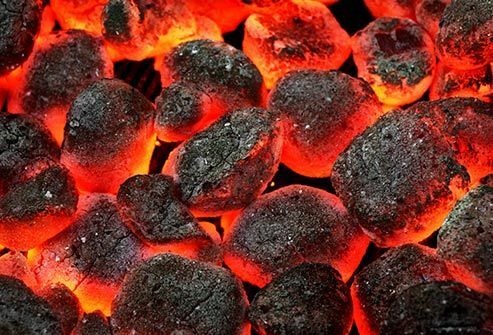 If your tongue feels like you scalded it with hot coffee and tastes metallic or bitter, you may have burning mouth syndrome. It might mean a problem with the nerves in your tongue. Some health problems, like dry mouth, infections, acid reflux, and diabetes may cause it, too. For some people, acidic foods like pineapple as well as toothpaste, mouthwash, candy, or gum also make their mouth burn. A tongue without any small bumps on the top may look glossy red. You may get it if you don’t get enough of some nutrients like iron, folic acid, or B vitamins. Infections, celiac disease, or some medications can also cause it. If you have patches of smooth areas next to bumpy ones, it could be geographic tongue. The spots can come and go, and sometimes they hurt or burn. It's harmless, but it could be linked to psoriasis or lichen planus. Under the tongue is a common spot for canker sores (shown here) -- small, painful, reddish bumps that come and go on their own. A single, painful bump at the tip could be transient lingual papillitis, “lie bumps,” which can pop up if your tongue gets irritated. A virus can also cause lots of little bumps on the tip and sides. If you have a lump on or under your tongue that hurts and doesn’t go away, let your doctor or dentist know. They’ll want to check you for oral cancer. Your tongue has lots of nerve endings, so it can really hurt if you bite or injure it. Canker sores, lichen planus (shown here), thrush, and geographic tongue can cause pain. Some medications and infections can make your tongue sore, too. Sometimes pain in your tongue can be a sign of cancer, especially if you also have a lump or red or white patches. Bring those problems up with your doctor or dentist. It’s when your tongue is too big compared to the rest of your mouth. It can take up so much room that your doctor might find imprints of your teeth on its sides. Your doctor will try to figure out and treat the underlying condition, which may be hypothyroidism, an infection, or allergies, among others. 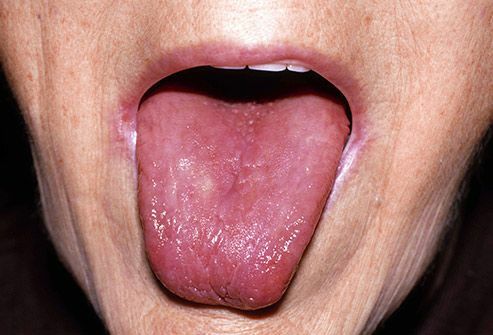 Deep grooves can form on your tongue as you age. They also are linked to Down syndrome, psoriasis, and Sjögren's syndrome. They’re harmless, but you should gently brush your tongue to clear food and bacteria. The grooves might get better when your doctor treats the condition that’s causing them, if there is one. Many spots, bumps, and colors on your tongue are harmless. But it’s good to know the signs that might point to cancer: Sores that don’t heal, lumps, tongue pain, and trouble chewing or swallowing. If these symptoms last more than 2 weeks, see your doctor or dentist.